My Crafting Channel: Silhouette Challenges: Ch# 26 (Anything Goes) "Friendship Card"
Silhouette Challenges: Ch# 26 (Anything Goes) "Friendship Card"
For this challenge I created this card for a dear friend. When I saw this file in the Silhouette store it made me think of her. She love to paint and use watercolors. 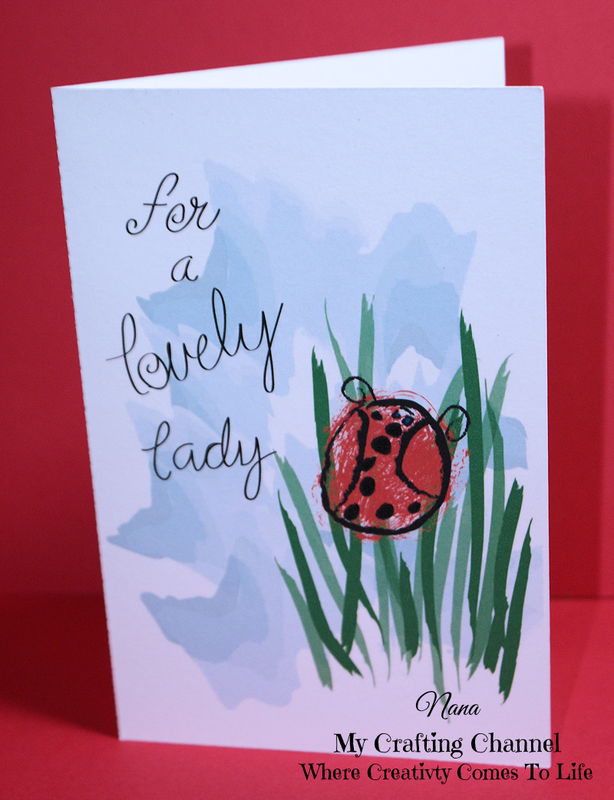 I think she even likes Ladybugs. Super cute card Nana! I love the watercoloring look and the lady bugs are adorable~love the inside to! 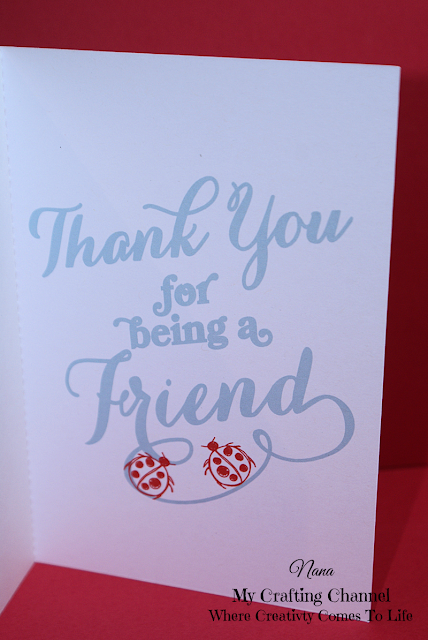 Your friend will love this Beautiful card!! Awesome job! What a beautiful card!! I love this card!!! Your friend will love it too!!! Have a great day. 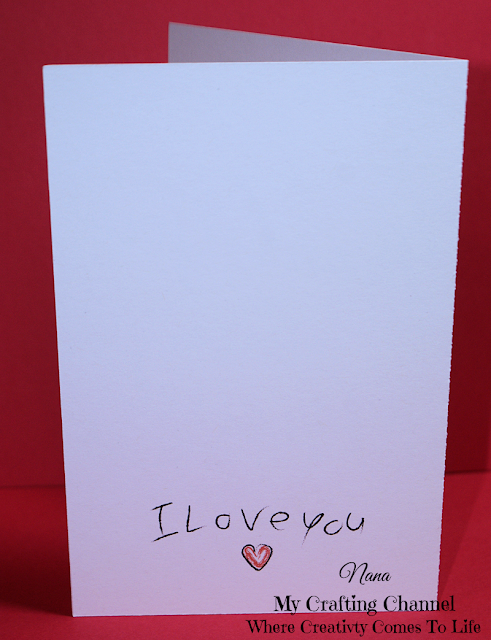 What a beautiful and sweet card! Love the watercolor look! How super ADORABLE is this!!!! !